3. FOUNDER understands and agrees that the discovery anticipated as a result of this Agreement shall be with the intent of INTEGRAL APP STUDIO agreeing to act as a partner to FOUNDER’s business to the extent and time and financial commitment as the parties may agree upon after due diligence. 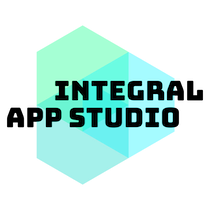 INTEGRAL APP STUDIO does not and will not act as an independent promoter, developer, or marketer of any product or service. This due diligence is being conducted with the intent of, but no obligation to, FOUNDER and INTEGRAL APP STUDIO entering into a commercial business agreement. 4. Any and all disputes shall be submitted to binding arbitration. This Agreement is made under and shall be construed according to the laws of the State of California. In the event that a dispute arises concerning this Agreement or performance under this Agreement, any and all disputes must be settled by arbitration in Marin County. 5. FOUNDER warrants and represents to INTEGRAL APP STUDIO that this Agreement is motivated by a commercial goal and, as such, represents a commercial, and not a consumer relationship. By clicking “submit” I understand that I am entering into a legally binding Agreement with Integral App Studio to protect the confidentiality of my idea for review. I have been encouraged to consult with advisors of my choice before entering into this Agreement.